11/20/2016 Revised version to explain better how to connect mixer. 01/16/2016 The mixer came, this is how to hook up a simple karaoke system with Chromecast, Karaoke Mixer, Wireless Microphones and sound bar or receiver. OK, the kids like to sing after watching The Voice. I set up a Karaoke system for them with the existing Electronic components at home: a sound bar with subwoofer, a receiver with speakers, a LED TV with HDMI input and optical/analog outputs, an Xbox One, Xbox 360, an old Karaoke DVD player with microphone inputs/echo function, a set of wireless microphones. 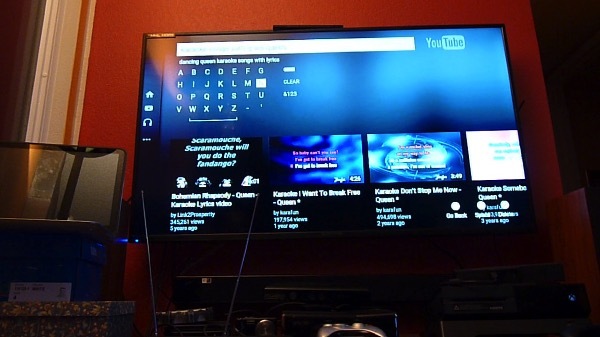 Xbox One to stream Youtube Karaoke songs to TV via HDMI (cost money to buy xbox live -$39/year) or : Apple TV, Chrome Cast, Fire Stick, Roku, Laptop, PC, iPhones, Android phones, iPods, iPads to stream Youtube to Chrome Cast, Fire stick. Output of TV: optical or analog to sound bar inputs. Wireless microphone output to Karaoke player microphone input or Karaoke audio mixer: should have microphone echo function. Output of Karaoke player or mixer connect to Stereo receiver input (CD, Tape, Videox, etc). Stereo Receiver will be output for the voice through microphone. Sound bar output will be the sound of music from the Youtube video. 2 separate devices for sound, more clear. 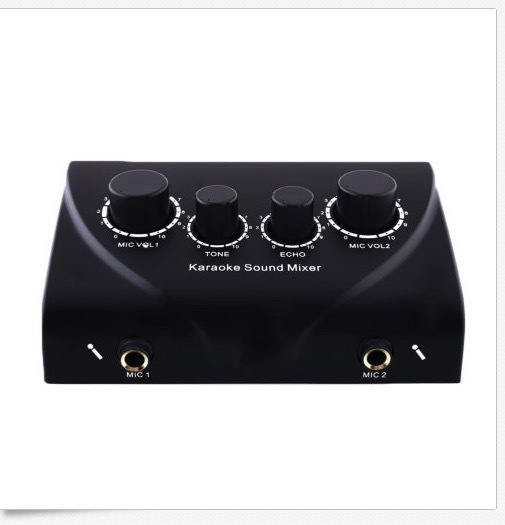 If you only have one source of Stereo output: get a mixer, connect output of TV and microphones to Mixer, output of the mixer to the Stereo receiver input. Hi, I just have 1 question about connecting wireless microphone to tv, I got samsung curve and there’s no input so I can’t connect the bluetooth receiver to my television, and I also have BOSE cinemate connected to tv via optical, also there’e no input, only coaxial and analog rca. could you please help what is the best thing to do or is there any device that I need to buy to be able to work my Tonor wireless bluetooth microphone? I hope to hear from you soon. Thanks for your time and help.